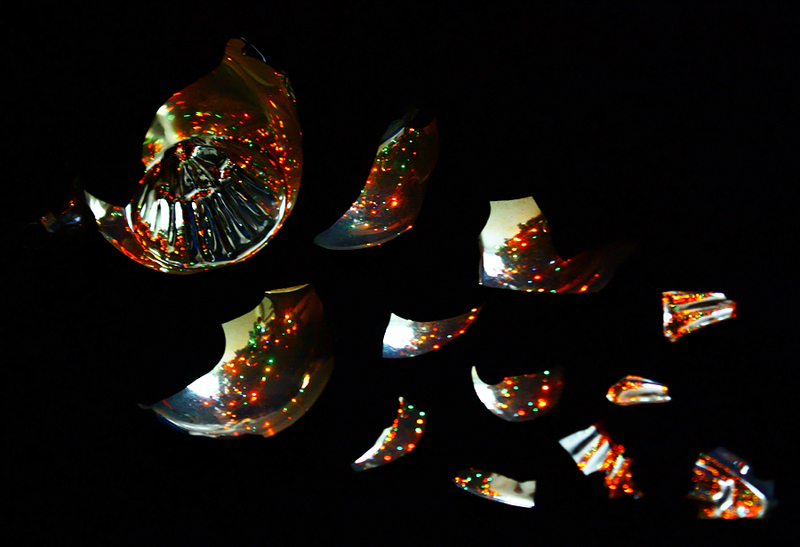 I had no idea it was going to snow today! 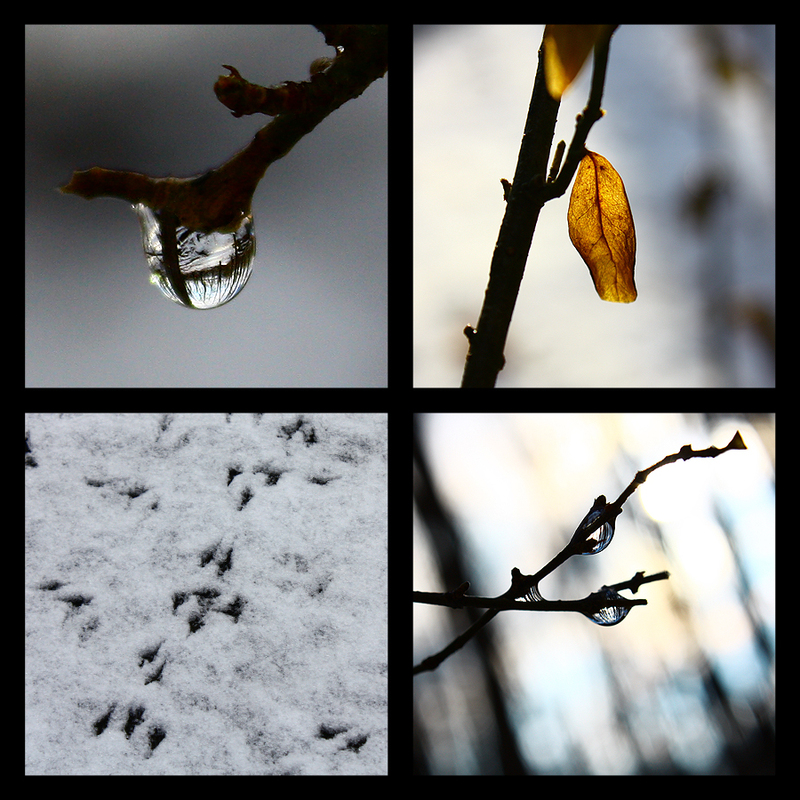 So I strapped on my boots, quickly lost feeling in my hands, and took pictures of the aftermath: the snowy world reflected in melting snow, leaves that remain from autumn, and the frenetic hopping of birds. 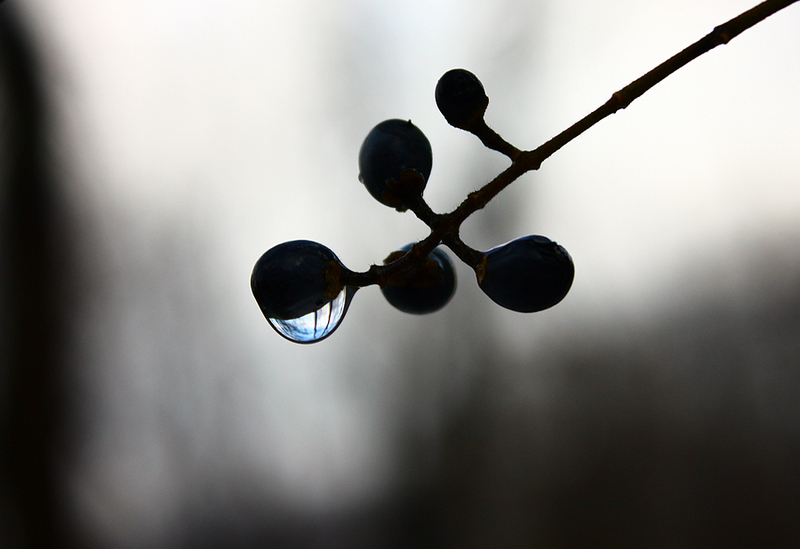 The blue sky reflected in a water droplet clinging to a berry of some kind.